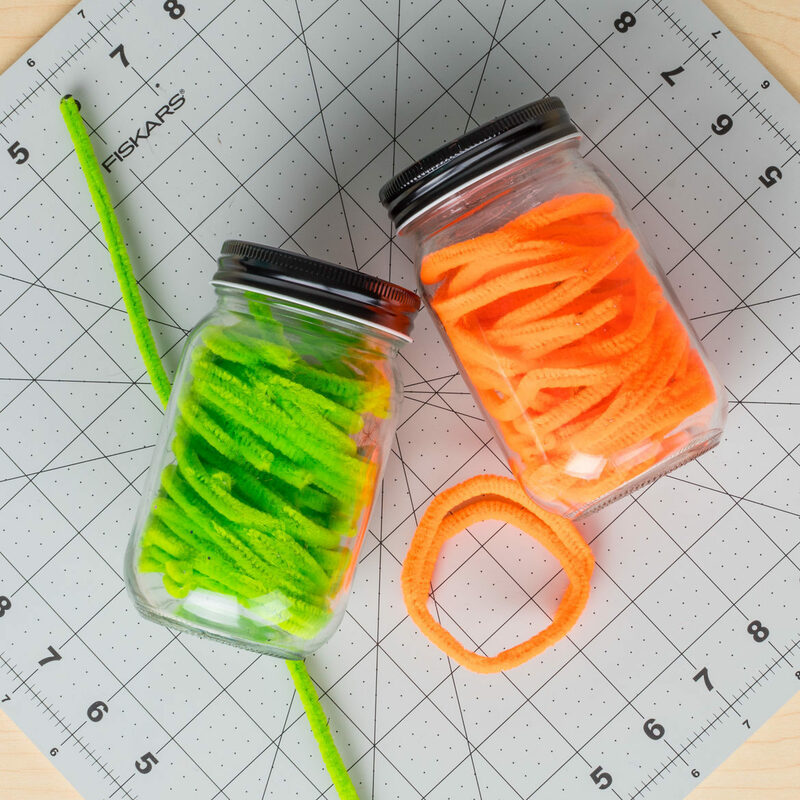 Fill the mason jars with colored pipe cleaners so that they completely fill the jars. Create Duck Tape fabric. Then trace eyes, nose and a mouth on the fabric. 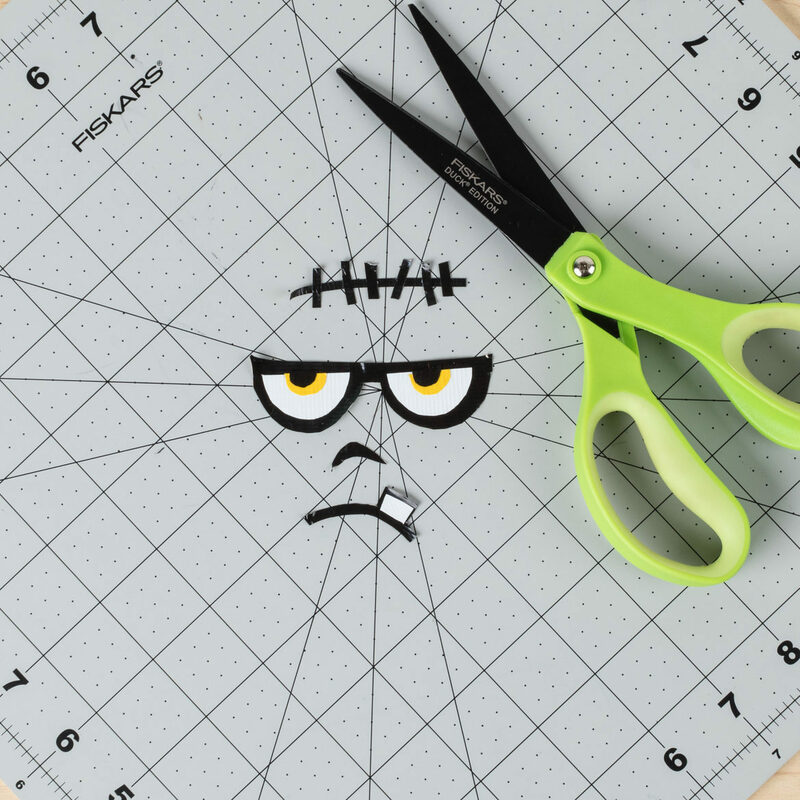 Cut out the shapes. 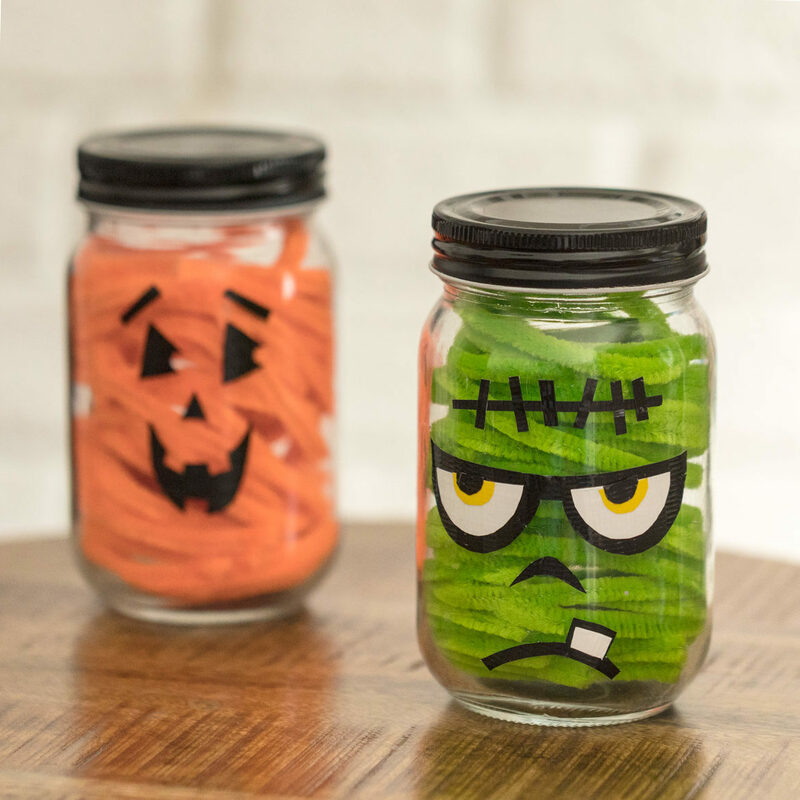 Place the facial features onto your jar, and you're finished! 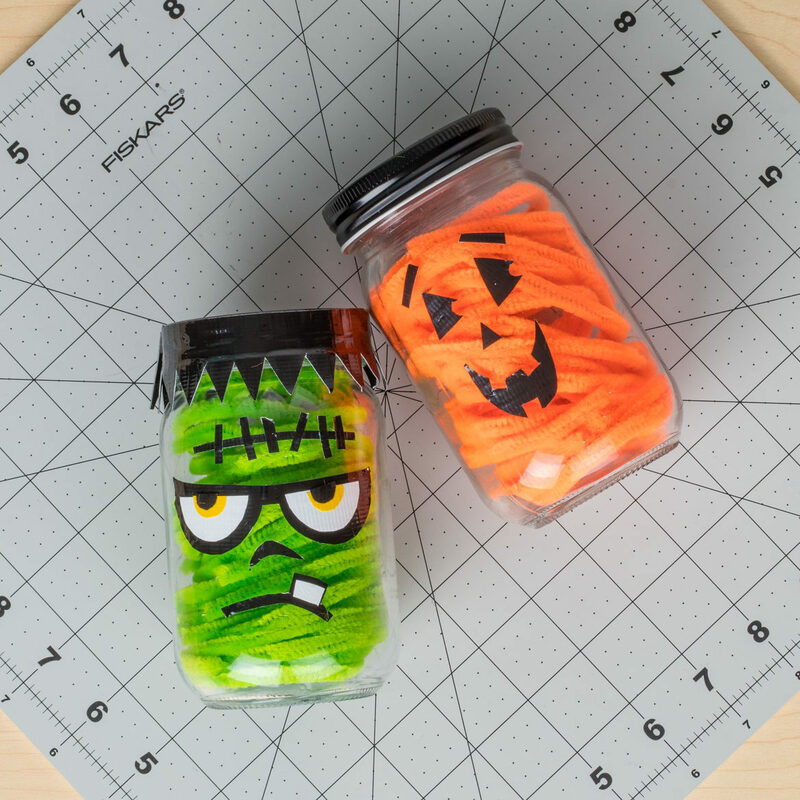 Create Halloween mason jars for easy, and affordable, Halloween decor.